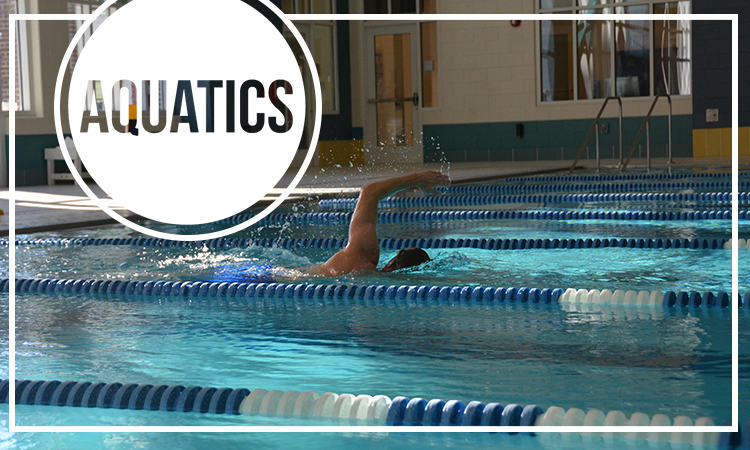 Campus Recreation offers recreational swim opportunities for UNCW Faculty, Staff, and Students. Our aquatic staff is composed of UNCW students. We encourage those individuals interested in Aquatic Programming to join our Swimmer List-Serve for email updates about operating schedule changes and general programming information. Sport Club Practices - Monday through Thursday from 7 - 9 p.m.
Kayak Water Polo - Fridays from 6:30 - 8 p.m. The UNCW Student Recreation Center Aquatics Facility includes an Indoor Pool, an Outdoor Leisure Pool, and Patio Deck. The Indoor Pool is an 8-lane, 25 yard multi-functional facility which can offer a wide variety of aquatic exercise and recreational activities. The Leisure Pool is a seasonal facility (April through September) that is in the shape of the Seahawk. It is a leisure pool equipped with built in benches and bubble jets. Included on the patio deck is plenty of furniture for lounging, ideal for a quick break between classes! The Indoor Pool offers lap swimming and recreational swimming hours throughout each day. Please see below for lap and recreational swimming descriptions. Lap Swimming Hours - During Lap Swim hours, all 8 lanes will be utilized for traditional fitness swimming, including the shallow area. Lap Swimming and Recreational Swimming Hours - During Lap and Recreational Swimming hours, 6 lanes will remain in the pool to be utilized for traditional fitness swimming. The rest of the pool can be utilized for open, informal recreational swimming, including the shallow area where water basketball will be permitted. The pool is available for use by UNCW Faculty, Staff, and Students.